Address and way to us | Sympathie Company GmbH › Sympathie Company - Werbeartikel mit Know-how, wie Werbetassen, Emaille Tassen, Werbebecher mit Logo uvw. 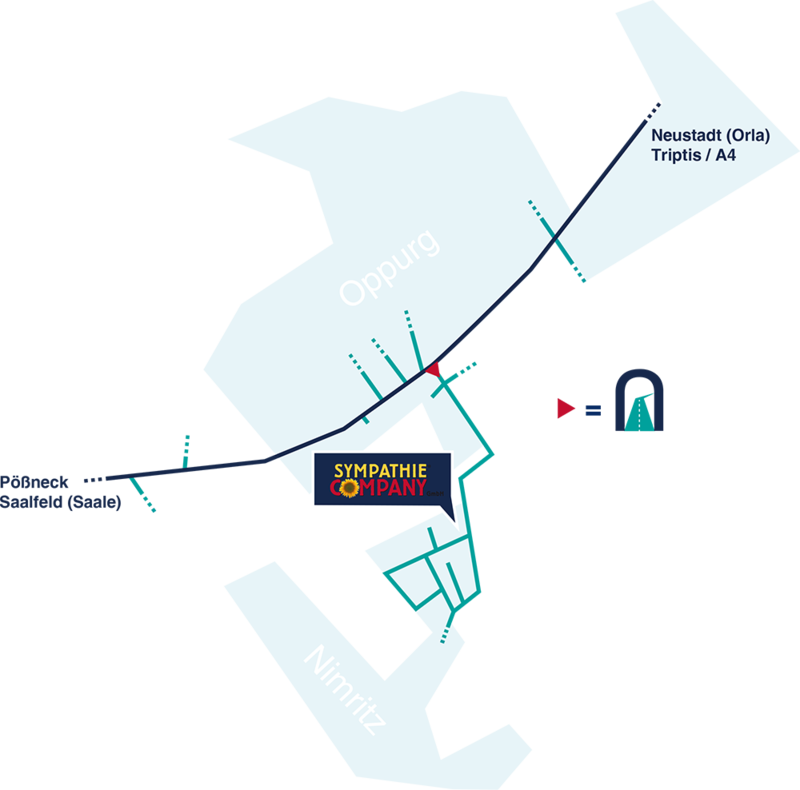 Follow the road B281 until the center of Oppurg, opposite the bus stop is a tunnel under the railway pass it. And now just follow the road (straight, right, left) and take the next street right (Im Weinberge). We're the first building on the right side!